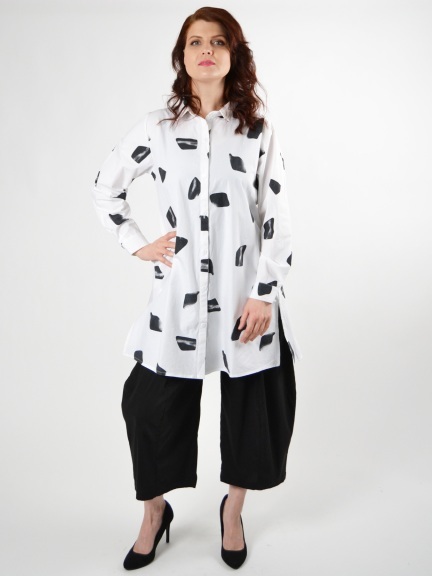 The Harriet Tunic is a crisp lightweight button-down shirt. Features pockets, pleated buttoned cuffs, pointed collar, and open pleats on both side seams of the hem. 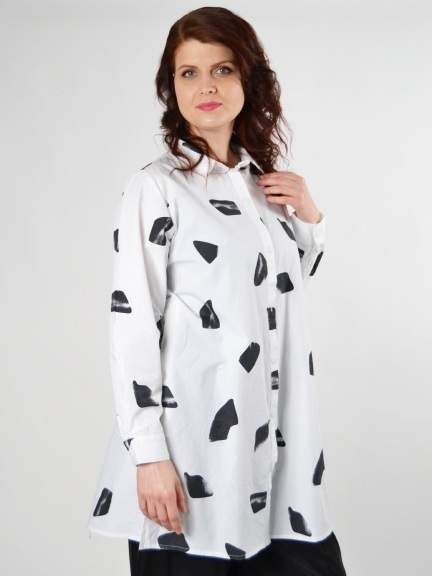 This graphic tunic brings a bold vibe to your spring wardrobe.